Hard-boiled eggs—A few pretty colored eggs will add color to the mix and provide some protein for your child as well. Homemade popcorn balls—While they probably have some sugar, they are also high in fiber. Fruits and nuts—Tuck a handful of fresh blueberries or blackberries inside a few plastic eggs. Or try dried apricots, dates, yogurt-covered raisins, or nuts. Kids also like Clementines, less tart than oranges and just the right size for small hands. 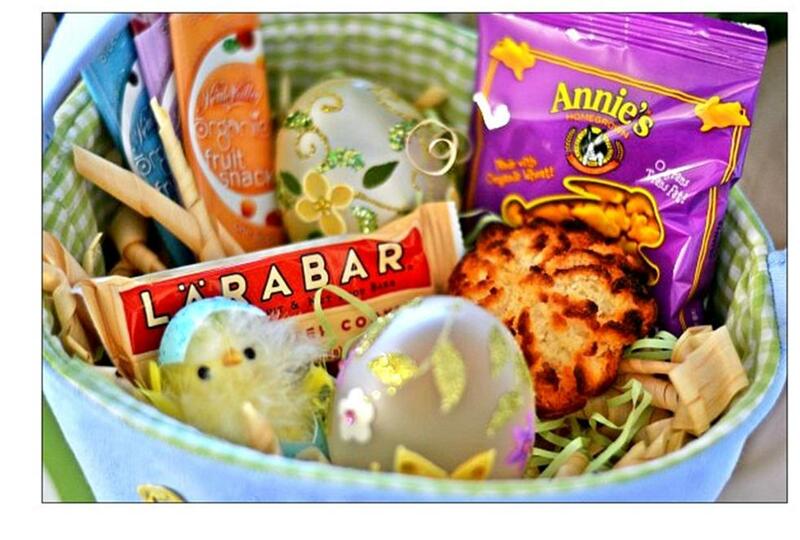 Annie’s Cheddar Bunnies—They’re made with real cheese. Squeezable yogurt—Look for brands with the least amount of sugar. Home-baked treats—Homemade cookies or muffins tend to be less sugar-laden and more filling than candy. Toys—What child doesn’t like Legos, Play Dough, bubbles, sidewalk chalk in the shape of eggs or stickers? Also, if you’ve got a “Spring Break” coming up, this is a great time to schedule your kids’ dental checkups! Call Angell’s Dentistry for an appointment and be sure to visit our website at www.angellsdentistry.com. This entry was posted in adolescent dental care, Angell's Dentistry, dentist search Troy MI, diet and tooth decay, diet for healthy teeth, Dr. Douglas Angell, find a dentist Birmingham MI, find a dentist Michigan, find a dentist Troy MI, healthy teeth diet, local dentists Troy MI, Michigan dentists, sugar and tooth decay. Bookmark the permalink.